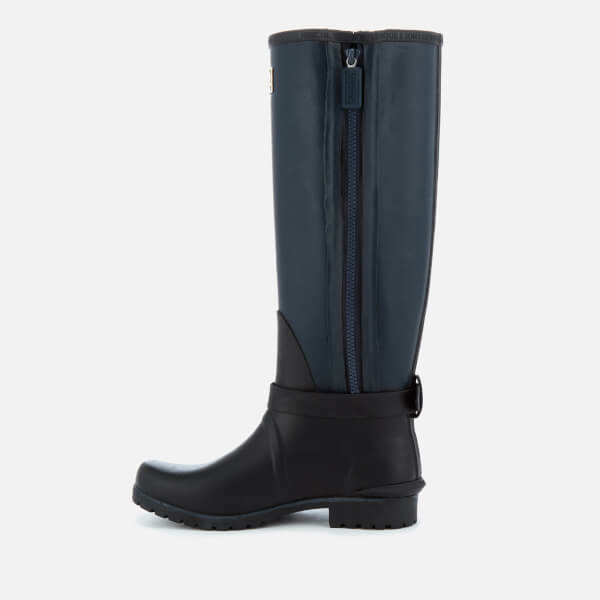 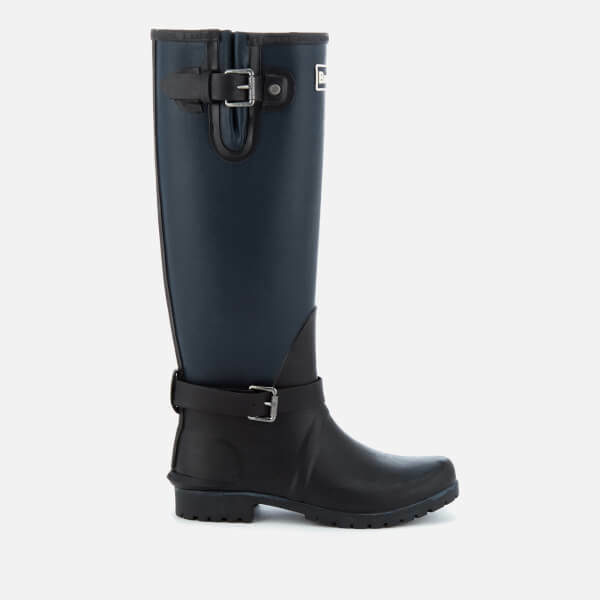 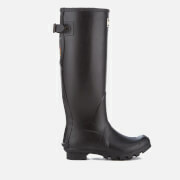 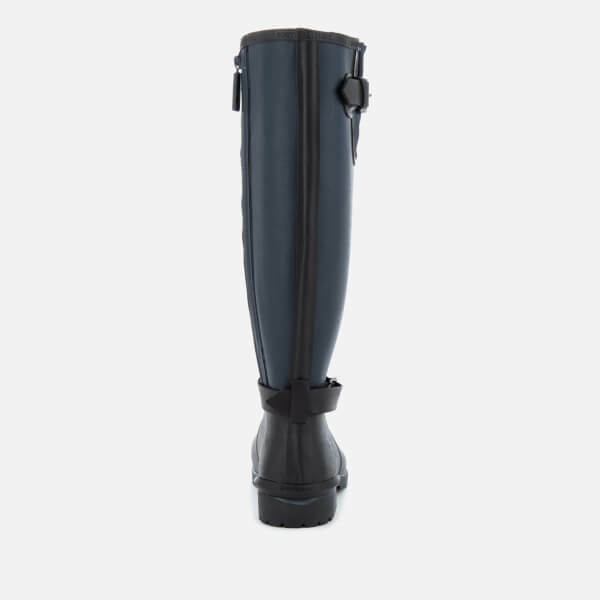 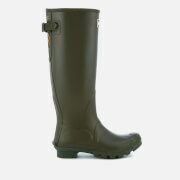 Women’s tall wellies from Barbour. 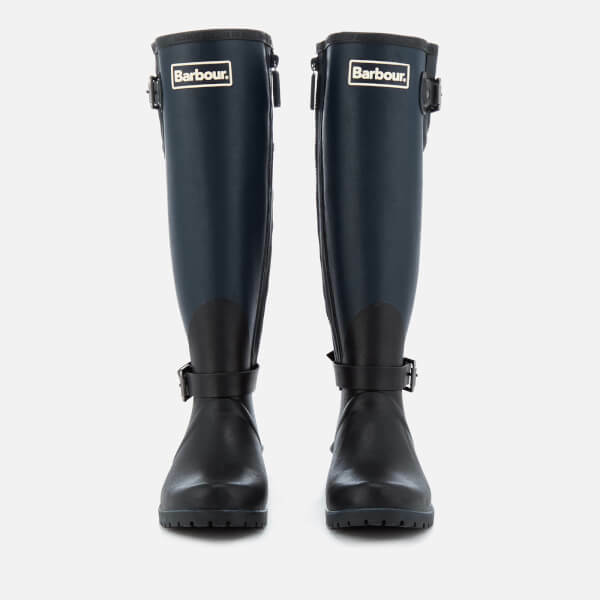 Inspired by Barbour’s motorcycling roots, the 'Cleveland' wellington boots are crafted with durable navy rubber on the shaft and black rubber details. 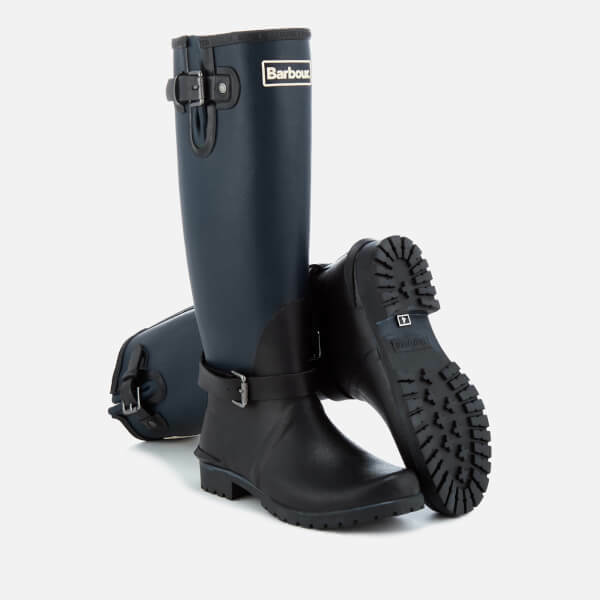 Lined in classic tartan fabric, the wellington boots are reinforced with a durable commando-style outsole and adjustable buckle straps to the shaft and ankle. 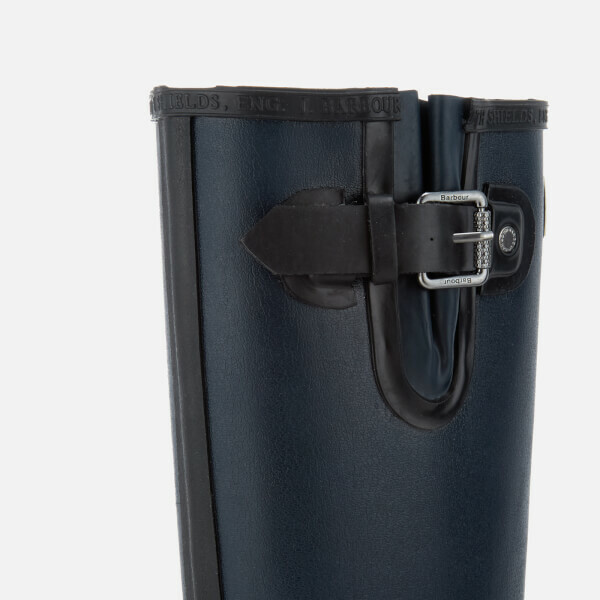 Complete with logo-engraved, silver-tone hardware, a signature brand patch to the front and a logo embossed trim.